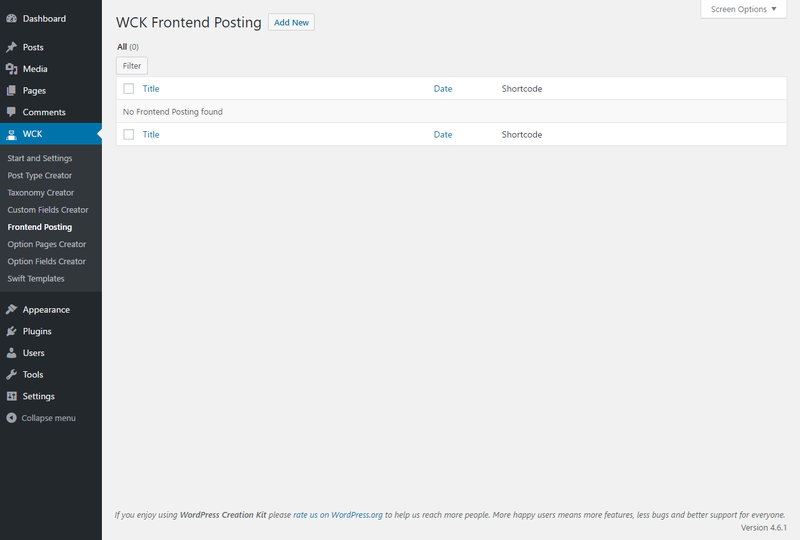 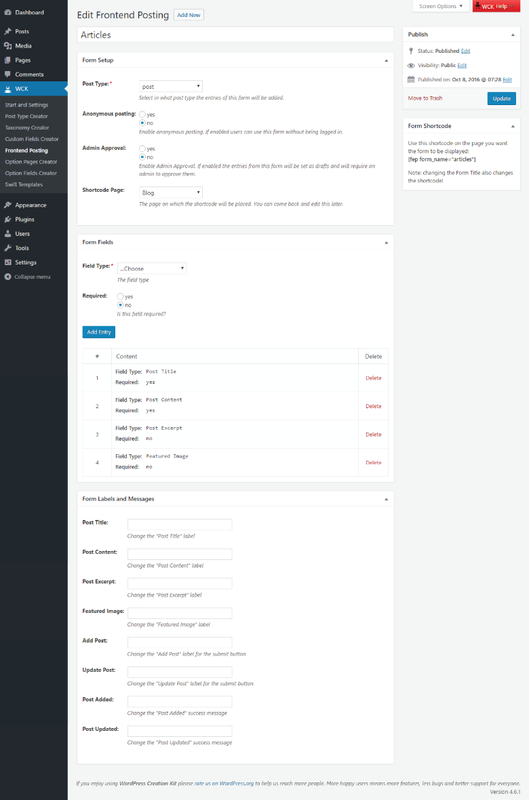 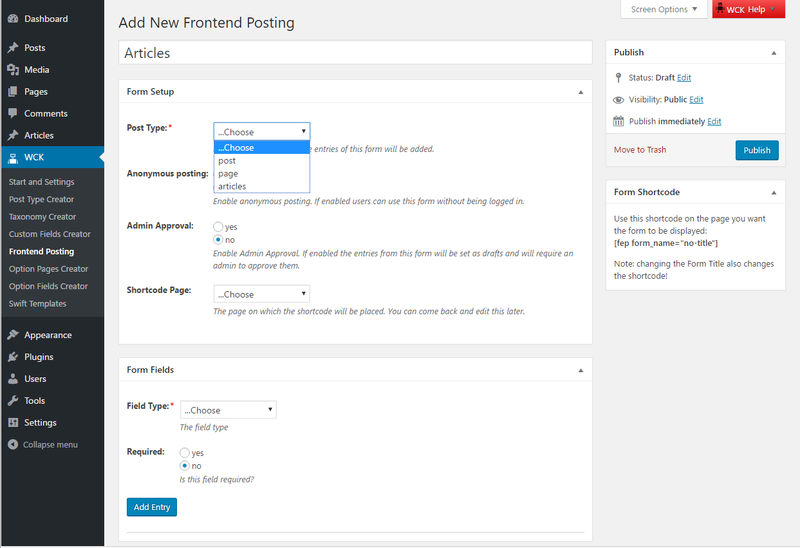 WCK Frontend Posting is available only in WordPress Creation Kit Pro version. 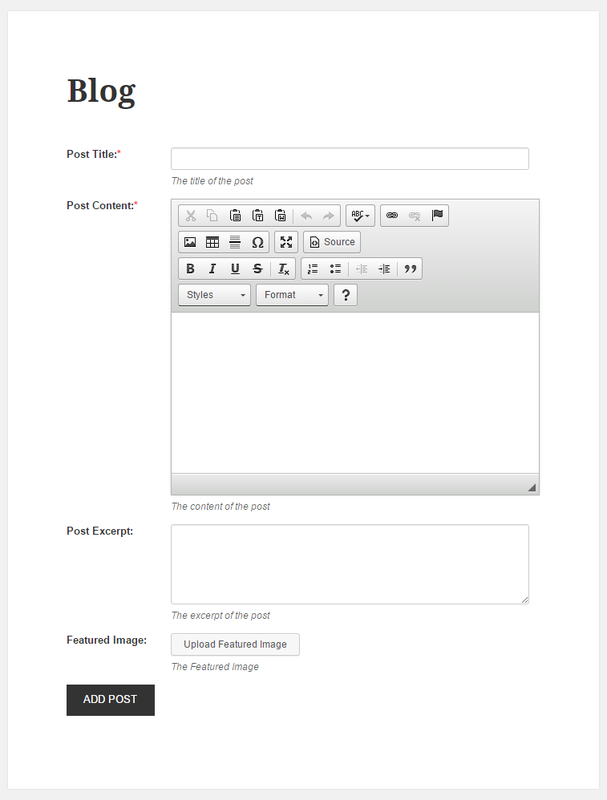 It gives you the possibility to create Pages, Posts and Custom Post Types from the Front End, and also edit them. 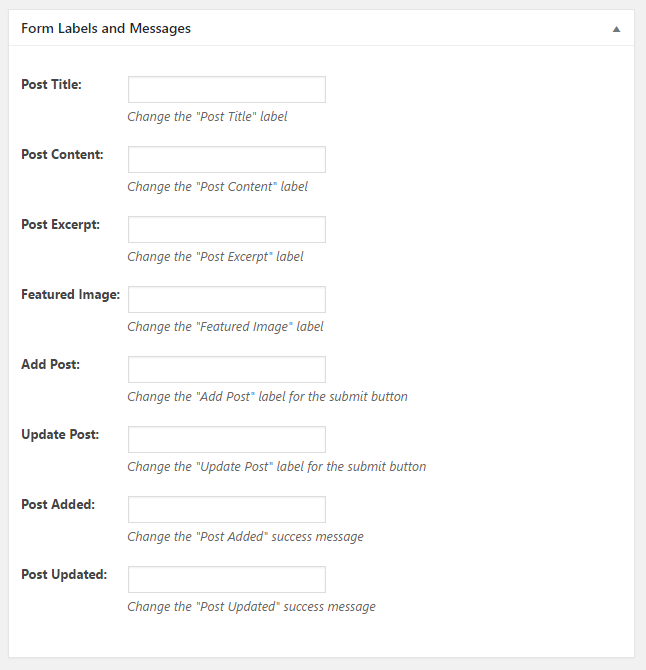 You can create a custom form for every Post Type by selecting from the most common post elements (Post Title, Post Content, Post Excerpt, Featured Image), the registered taxonomies for that Post Type and also any Meta Box created with WCK Custom Fields Creator (Repeater or Single Custom Meta Box). 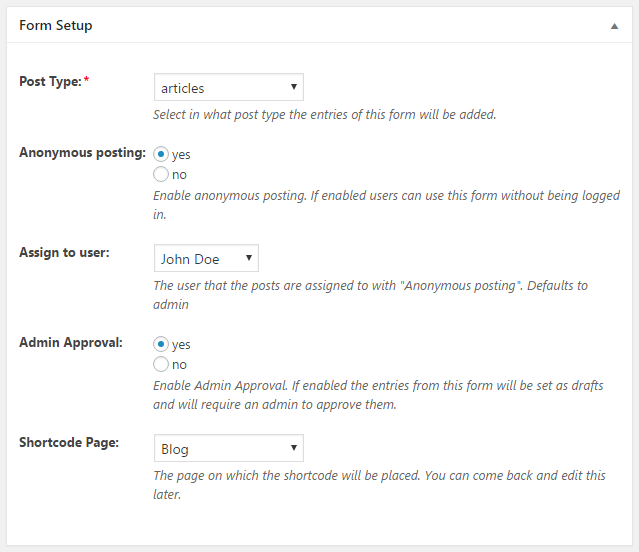 After the setup, in the right side you will see a Meta Box called “Form Shortcode”. 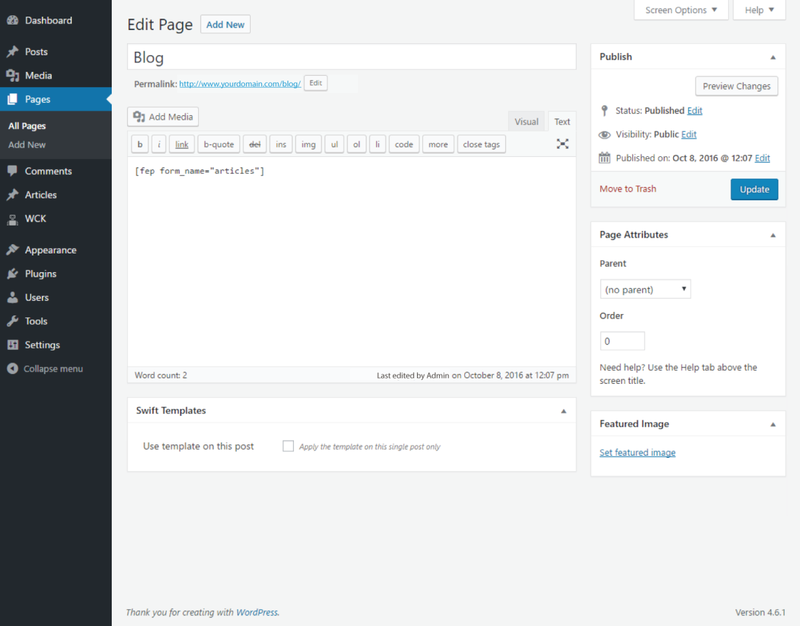 Copy and paste the shortcode in the desired page. 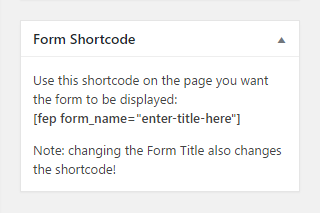 The shortcode looks like this: [fep form_name=”enter-title-here”].